A few years ago, a mother of an EXPLO student approached us as the summer came to a close. She wanted to share an anecdote about how her family made the decision to send their youngest son to EXPLO that year. He was preparing to enter high school, she said, and though bright and sociable, he was absent-minded. She worried he would be lost as he moved from a small, supportive middle school to a much larger high school. Her older son, a Harvard undergrad and EXPLO alum, had an immediate solution to both his mother’s worries and his brother’s lack of preparedness: send him to EXPLO. Transitions at any age can be challenging. They’re new, they’re full of choices, and they often poke holes in our sense of self. For students transitioning from middle school to high school, the transition can be particularly jarring. Who am I in this new place? How will my classes change? How will the choices I make now affect the future? It’s a time of complexities and opportunities, and one where students are working hard to shape themselves into the person they want to grow up and be someday. Friends, interests, family, and school all converge to shape this emerging sense of self, but it can also be a time of conflict and questioning for students at this age. [Transitioning from middle to high school] is a time of complexities and opportunities, and one where students are working hard to shape themselves into the person they want to grow up and be someday. Despite an occasionally-justified reputation of the ‘moody teen’ that we hear about from the parents of adolescents, this developmental period is actually an incredible time of wonder, capability, and transformation. Due to considerable physical changes taking place in their brains, teens are actually more comfortable than many adults when it comes to thinking conceptually and abstractly. At EXPLO, we meet students where they are: willing to embrace deliberate silliness when a situation calls for it, but at the same time always ready to cultivate an exploration of identity when teens ricochet back to adulthood. At EXPLO, we meet students where they are: willing to embrace deliberate silliness when a situation calls for it, but at the same time always ready to cultivate an exploration of identity when teens ricochet back to adulthood. As they navigate their way through this complicated time, students transitioning into high school simultaneously need the freedom to experiment, take risks, and try new things, as well as a support system to lean on when things get too complicated and overwhelming. 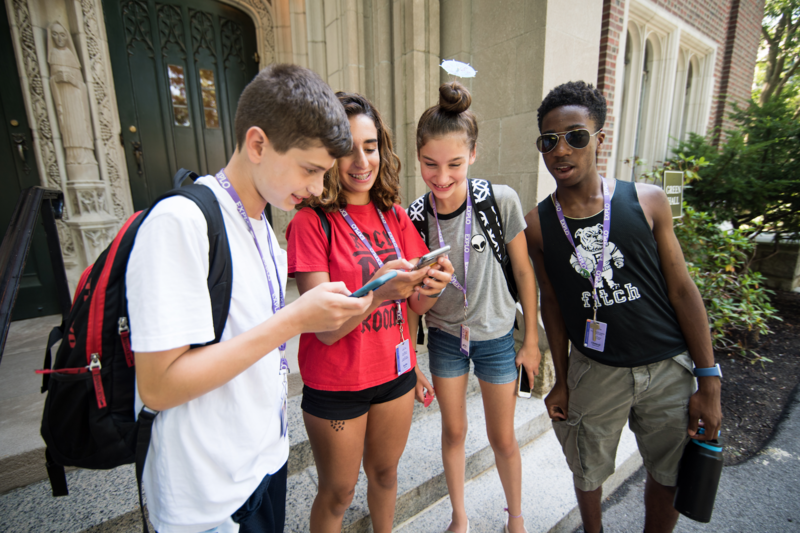 At EXPLO at Wellesley, this combination of freedom and support is meticulously balanced, providing students a haven to build the confidence needed to manage — and hopefully thrive — through this transition into high school. One of the biggest challenges for our absent-minded friend (and many of his peers) was that his parents were always hovering and making decisions for him. When young people are not offered the opportunity to practice making choices, they don’t develop the sense of agency — the ability to be an active participant in a given moment or to choose how they will respond to a particular situation or environment — that allows them to navigate situations of uncertainty or to plan for a future that will fulfill them. When young people are not offered the opportunity to practice making choices, they don’t develop the sense of agency. . .
EXPLO at Wellesley is the place to practice. The ability to make choices and develop agency are guiding values that inform everything we do at our programs. During their time at EXPLO, students make hundreds of choices that support their need to experiment and explore. They choose the courses and workshops they take (everything from molecular gastronomy to fashion design), and they choose the activities, clubs, and discussions they want to be a part of everyday. 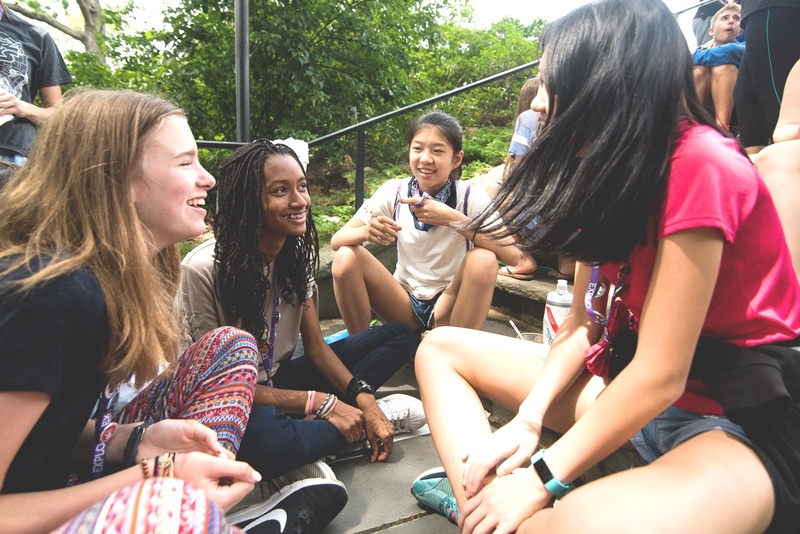 Through a series of carefully constructed opportunities, students get to shape their time at EXPLO at Wellesley, and emerge more responsible, resourceful, and independent — not to mention better prepared for the challenges of high school — than ever before.